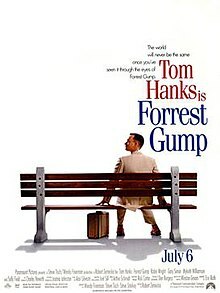 Winston Groom was paid $350,000 for the screenplay rights to his novel Forrest Gump and was contracted for a 3 percent share of the film's net profits. However, Paramount and the film's producers did not pay him, using Hollywood accounting to posit that the blockbuster film lost money. Tom Hanks, by contrast, contracted for a percent share of the film's gross receipts instead of a salary, and he and director Zemeckis each received $40 million. Additionally, Groom was not mentioned once in any of the film's six Oscar-winner speeches. In March 2019, Bollywood actor and filmmaker Aamir Khan announced he will produce and star in Laal Singh Chadda, an Indian remake of Forrest Gump. Khan revealed the film's director as Advait Chandan, who he previously worked with on the acclaimed hit drama film Secret Superstar (2017). Laal Singh Chadda will be produced by Viacom’s local studio Viacom18 Motion Pictures and Aamir Khan Productions. Filming will commence in October, with the film's release slated for 2020. ^ "Studyforrest". Studyforrest. Retrieved March 7, 2019. ^ Hanke, Michael; Adelhöfer, Nico; Kottke, Daniel; Iacovella, Vittorio; Sengupta, Ayan; Kaule, Falko R.; Nigbur, Roland; Waite, Alexander Q.; Baumgartner, Florian; Stadler, Jörg. "A studyforrest extension, simultaneous fMRI and eye gaze recordings during prolonged natural stimulation". Scientific Data. 3. doi:10.1038/sdata.2016.92. Retrieved March 7, 2019. 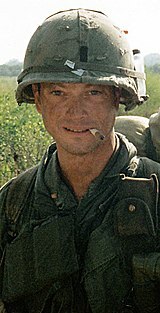 ^ Hülsenbusch, Ralph. "Open Science: Forschungsdaten frei zugänglich". heise.de. heise online. Retrieved March 7, 2019. ^ "Studyforrest publication". studyforrest.org. Retrieved March 7, 2019. ^ "Freie Daten für freie Forscher". Süddeutsche Zeitung. September 15, 2014. Retrieved March 7, 2019.